highlights of my Naval career consisted of a Western Pacific cruise (Westpac) to the Persian Gulf and having the honor and privilege of being selected to represent my command in a meeting with the Chief of Naval Operations. Having said that, my time served in the Navy allowed me to earn great respect for all of those who are actively serving or who have served our country across all branches of our military. In addition, the life experiences I gained during this time have served me well throughout my life. I firmly believe that In order to be a strong leader you must first understand the importance of being a strong team member. The foundation of this belief I carry starts with personal accountability, responsibility and self-motivation – in which I was able to translate from military to civilian life as I entered my career supporting the financial industry. Throughout my career, I have applied this work ethic and was able to rise up the ranks from Field Service Technician, Project Manager, Installations Director, National Sales Manager and eventually to ATM Division Vice President before creating ISSi. So bringing things full circle, our team at ISSi has successfully supported our partners efforts with national ATM implementation programs, national general construction services, signage conversions, ATM hardware and software rollouts for over a decade since 2001. The licenses held by ISSi that enable these services to be offered are General Contractor, Alarm Company Operator, Certified Locksmith and Business Licenses in every state in which we operate nationwide. 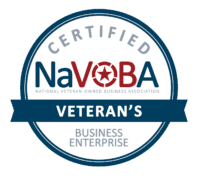 In addition, ISSi is also a Certified Veteran Business Enterprise (VBE) and Small Business Enterprise (SBE) – which assists our partners to comply with and accomplish their minority spending goals. Lastly, when our partners engage ISSi, I personally dedicate my time and work closely with our project teams to custom tailor our support services to mirror our partner’s needs and exceed their expectations. Our Dedicated ISSi team provides the highest quality service to ensure success! It would be an honor to serve you and your company. With ISSi on the team, we all win together!